The circumstances under which Air Chief Marshall Alex Badeh died on Tuesday underscore the gravity of the security challenge facing us in Nigeria today. Whatever may have been the motive of his assailants, that a whole former Chief of Defence Staff could be taken out just like that is very telling of how unsafe our country has become. Badeh’s death also came at a period he was answering charges over how billions of Naira meant for national security were dispensed under his watch. While I commiserate with his family, it is important for the authorities to understand that the violence we experience from sundry criminal cartels will not end until we revamp the criminal justice system in the country. I am aware that we have a very weak, almost ineffectual police force, but escapism, which is our national default, is no solution. We must find a way to make the police work for the society by upholding the rule of law. The essence of using the court system to deal with crimes is for the State to: (1) ascertain, without any doubts, that the suspects indeed committed the crimes for which they were charged; (2) establish if there were accomplishes and (3) get all the facts that could prove very useful in future cases. Unfortunately, in Nigeria today, both the state and the mob reason alike which is why we confuse vengeance with justice. Yet, until we begin to apply the law in dealing with crimes, the entrepreneurs of violence will continue to be in business. Driving troops to resolve security challenges that are ordinarily within the purview of the police has never worked. And it cannot work because defeating security threats entails more than an application of force. Aside the fact such a cynical approach to law and order has scant regards for intelligence, the abuse of human rights that comes with it is what has now pitched our country against global institutions like Amnesty International and UNICEF. The sad irony of all the killings we experience in the country is that up to date the police have not successfully prosecuted and brought conviction against any of those suspected to be involved. We will hear of arrests, followed by a parade and then media trials where “confessions” are obtained but that is where the story usually ends. It is this blatant failure of the authorities to use the instrumentality of the law to bring perpetrators to book that has directly encouraged these bestial killings for which our country is now notorious. 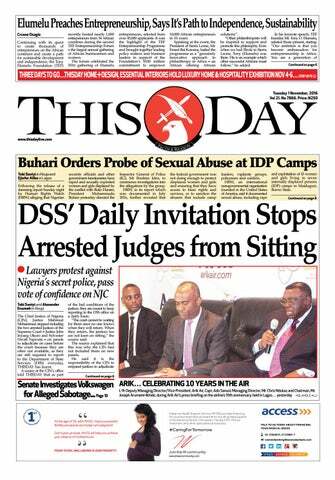 In my column last week, I used how the Department of State Services (DSS) subjected a woman to both humiliation and media trial in Abuja to illustrate the point about the peril of jungle justice. As I argued in the piece, to the extent that it is an essential component of the rule of law that an accused person should receive a fair trial, the principles of ‘presumption of innocence until proven guilty’ and ‘guilt beyond reasonable doubt’ are sacrosanct. Where those essential attributes are circumscribed for expediency, you can only encourage violent men who have scant regards for life to be on the prowl. This precisely is the point being made in Kenya where a high court last week granted a conservatory order to restrain the Director of Criminal Investigations and the Inspector-General of Police from publishing photos of suspects yet to be arraigned. According to the petitioner, Mr Henry Namiti Shitanda, posting booking photos on the internet is an infringement on the privacy of suspects and conveys a strong connotation that they are already guilty even before trial. That the police and DSS in Nigeria still engage in parade of suspects and media trials is because they don’t learn from their own experiences. For those who may have forgotten, on 4th May, 2012 in Benin city, Comrade Olaitan Oyerinde, Principal Secretary of the then Edo State Governor, Comrade Adams Oshiomhole, was assassinated. In Benin, the police paraded a gang of ‘assassins’ who confessed to killing Oyerinde. But in a curious twist, the DSS held its own press conference in Abuja where another gang of suspects ‘confessed’ that they killed Oyerinde in a violent robbery attack. So, two different gangs of killers were alleged to have committed the same crime, at the same time, in the same place and for different reasons. As to be expected, the issue died down and till today, nobody is sure whether Oyerinde was killed by the Benin ‘assassins’ paraded by the police or the six ‘armed robbers’ paraded by the DSS in Abuja, three of whom were said to be wearing exactly the same shirts worn by some Boko Haram suspects also paraded by the agency a few months earlier! With Nigeria gradually descending to the Hobbesian state of nature where the life of the ordinary citizen is fast becoming “solitary, poor, nasty, brutish and short”, there is an urgent need to reform not only the administration of justice but also the operational strategy of the police and the DSS that should go beyond parade or suspects and media trials. Crimes must be thoroughly investigated at the end of which suspects must have their day in court. That is the only way to stop all these senseless killings that now define our country. If there is any take-away from the vice presidential debate held last Friday night, it is the difficulty in faulting the argument that only President Muhammadu Buhari of the APC and Alhaji Atiku Abubakar of the main opposition PDP are in serious contention for the February 2019 election. That does not confer any special attributes on the duo or reduce the credibility of the other presidential contenders. It simply speaks to the reality that you need a solid political platform to do well in any election at that level. Following the debate, my brother, Amara Nwankpa, said on Twitter that since the first appointment a presidential candidate makes is that of their running mate, what transpired was a reflection of the poor choices made by the principals of these vice presidential candidates. My reading is that the difference between Vice President Yemi Osinbajo and former Governor Peter Obi and the three others at the debate is the political support systems that facilitated their emergence as presidential running mates. That is also why their principals are the front runners. I doubt if any presidential candidate has traversed the length and breadth of the country as much as Omoyele Sowore has done in recent weeks. But like former CBN Deputy Governor, Dr Kingsley Moghalu, whose BIG ideas for the development of the country I have also written about, Sowore’s chances of winning the election seem very slim. The same can be said of Tope Fasua, Fela Durotoye or perhaps even Mrs Oby Ezekwesili, who, for me, has the best agenda to reposition the country of all the presidential candidates in the field. And I have taken the trouble to read practically all of them. I served under Ezekwesili when she chaired the Nigeria Extractive Industry Transparency Initiative (NEITI) board between 2004 and 2007 and by sheer force of personality, she was one of the people driving the agenda to make the oil sector more accountable to the people on the global stage where she commanded great respect and admiration. Ezekwesili has the intellect, experience, exposure and character to make a good president. But if you ask me, I honestly cannot name the political party under which she is running. That is a big issue. In Nigeria, it is the logos of political parties, not photographs of candidates, that are on the ballot papers which then makes it more difficult for those contesting outside the recognized parties, no matter how popular they may be as individuals, to make appreciable showing during elections. Besides, ‘structures’ within our context also include an unspoken national geo-political consensus. Whatever may be the other grouses against President Goodluck Jonathan in 2015, his Original Sin was daring to torpedo that consensus at a period it was generally agreed that power would shift to the north. In similar vein, that unspoken consensus will most likely dictate the outcome of the 2019 election which is why both Buhari and Atiku are favoured. So, while many of the contenders from the South with formidable credentials are not prevented from exercising their constitutional rights, the feeling that they are swimming against the tide is very strong. 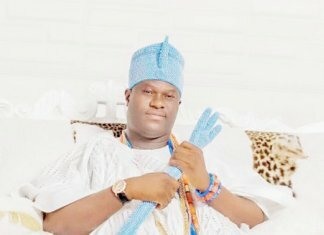 https://www.thisdaylive.com/index.php/2018/12/19/wedding-without-the-bride-20-years-later/, to mark the 20th anniversary of my marriage, I received several messages of congratulations. I appreciate everyone as I pray that thanksgiving and things of joy will not depart from our families and homes. Meanwhile, I wish all my readers Merry Christmas in advance.